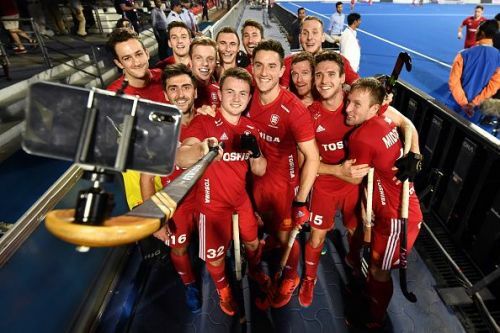 England have secured their entry into the quarter-finals of Hockey World Cup. 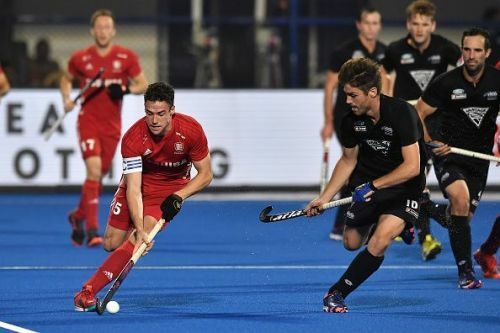 They beat New Zealand by 2-0 margin at the Kalinga Stadium in Bhubaneswar on Monday in the first crossover match of the tournament. England will now have a mountain to climb as they will face Olympic gold medallist Argentina in the quarter-final match on Wednesday. It was a match where both sides had their chances but it was England who made that count. They were more aggressive in the first two quarters, whereas New Zealand were busy in defending. The Kiwis came out of their cage in the second half and came close to scoring on a couple of occasions but an inspiring performance from George Pinner kept them away. The experience of New Zealand players compared to their opponents finally made the difference between the two sides, as England kept concentration in crunch moments. On a day when England depended on their team game, captain Phil Roper has certainly distinguished his performance from others. The Chester-born helped his team to register the opening goal of the match. England could have scored at least a goal in the first quarter when Roper made a solid run down the middle but his final pass failed to find any of his teammates. Barry Middleton did the same thing earlier as England squandered two opportunities. Roper came with a different approach in the second quarter. He struggled to find space initially due to some fine stick works from Kiwi defenders. But the moment of reckoning came in the 25th minute when he got a fine pass inside the opponent’s half. With acres of space ahead of him, Roper made a fine run towards the circle and dribbled past three Kiwi defenders in the process. He forced New Zealand goalkeeper Richard Joyce to challenge him but before that, he passed the ball to Will Calnan, who scored the opening goal. His patience, calmness and efforts ultimately paid off. This was a crucial goal which helped England tighten their grip over their opponents.